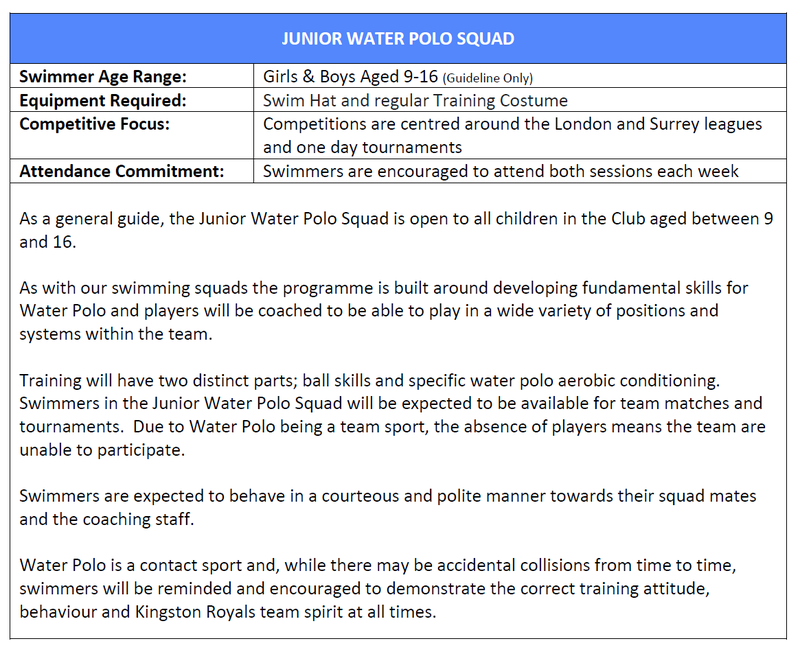 The Kingston Royals Junior Water Polo Team was formed in September 2017. The team is managed by Steve Luff who is a member of the Kingston Royals Senior Water Polo team and coached by Bradley Harvey. Junior Water Polo is open to both male and female swimmers aged 9-16. As with the rest of the Club, the Junior Water Polo ethos is team orientated and structured on skill development. Friday 9.00 p.m. - 10.00 p.m.